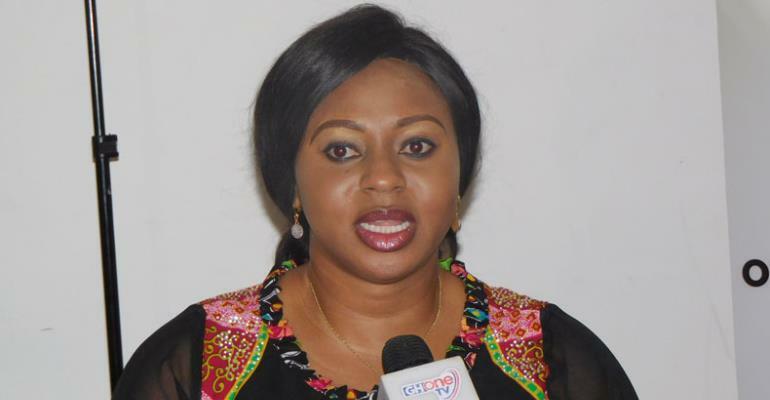 The Minister of State in-charge of Public Procurement, Sarah Adwoa Safo has indicated that her outfit is urgently developing a database for contractors, consultants and suppliers who bid for government contracts. She said her office is also developing a software that will assess the performance of all such contractors who would be given government contracts, adding that all contractors who meet the performance criterion would be awarded more contracts while those who fail to meet the standard will be blacklisted. The Minister of State, who is also the deputy Majority Leader in parliament made these known at the last stakeholders’ meeting, which will help draft a new government policy that will ensure that 30% of local contracts will be given to women, the youth entrepreneurs and people with disability. The stakeholders’ meeting was attended by various women groups, youth organisers and women organisers of political parties, female MPs and representatives of persons living with disability. According to the Minister of State, President Akufo-Addo, who is very much concerned about the welfare of women and the youth in the country and vowed during the 2016 campaign to offer 30% of government procurements, which find expression in the 70% local content of contracts to companies owned by the youth, women and persons with disability, who are seen generally as the marginalised groups in the society. “I wish to reiterate that this policy is very pragmatic action worthy of emulation and introduction in our procurement system,” she said. The Minister of State explained that since the establishment of her ministry, it has been able to save a whopping GHC800 million for the state through stringent procedures and monitoring, which resulted in soul-sourcing and restricted tendering being drastically reduced. “One of the first decision that I took upon the assumption of office was to send a written caveat to all ministries, departments and agencies to stop the abrogation of contracts and refer all such matters to my office for advice,” the Minister, who is also the New Patriotic Party (NPP) MP for Dome/Kwabenya said. Areas of contracts that will benefit these marginalised groups are contracts for small works, provision of labour contract services, provision of waste collection services, event organising, car leasing, security services, construction of pavement as sidewalks, patching of potholes and provision of painting works among others. The National Youth Organiser of the NPP, Sammy Awuku appealed to the government to ensure that the Ministry works in collaboration with institutions such as MASLOC and Youth Employment Agency (YEA) to ensure that those who benefit from the policy would be given financial assistance to execute those projects. He said the government ought to do audit every year at the ministries, departments and agencies to find out whether the policy was being adhered to. The National Democratic Congress (NDC) Member of Parliament for Pusiga and ranking member of Gender, Children and Social Protection Committee of parliament, Laadi Ayii Ayamba, who took part in the stakeholders’ meeting, commended the government for introducing the laudable policy and urged all politicians, irrespective of one’s political affiliation, to support it to benefit marginalised and vulnerable in the society.